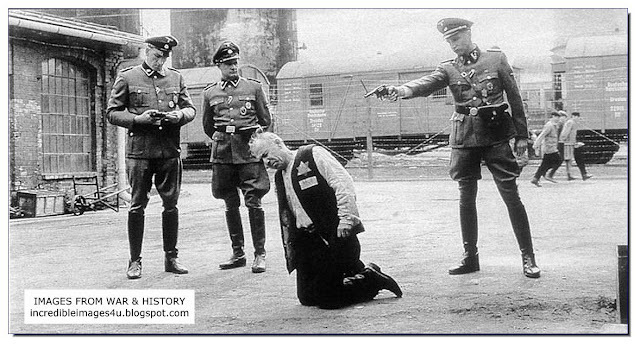 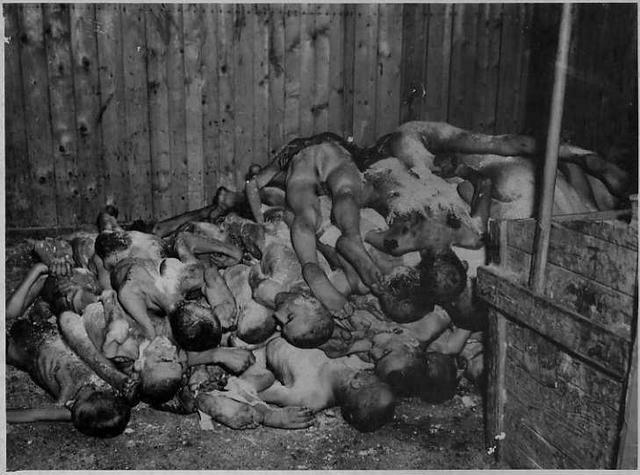 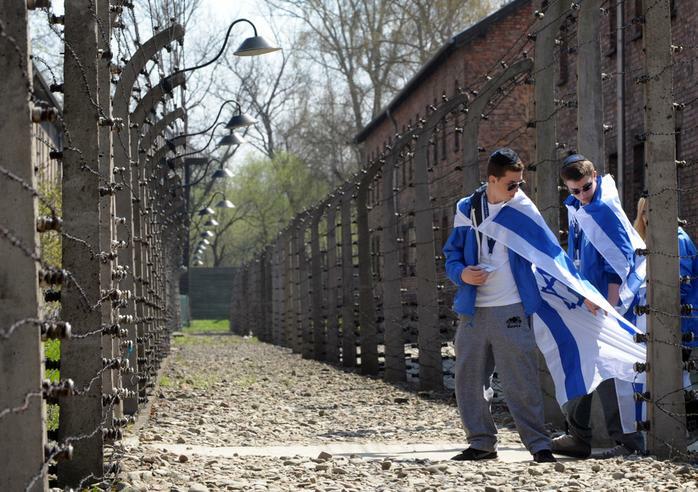 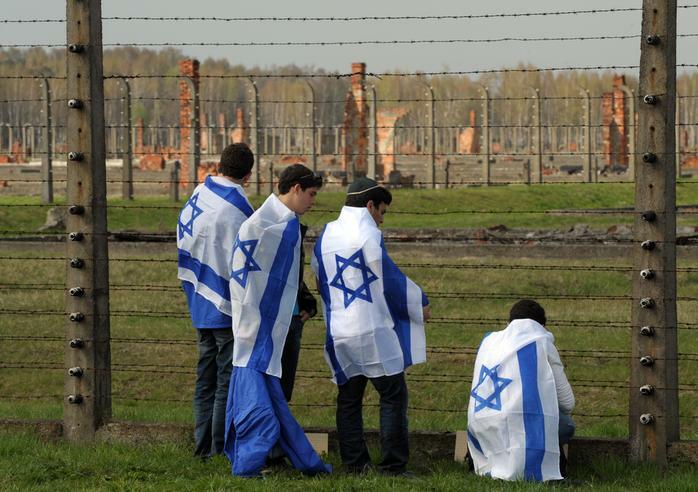 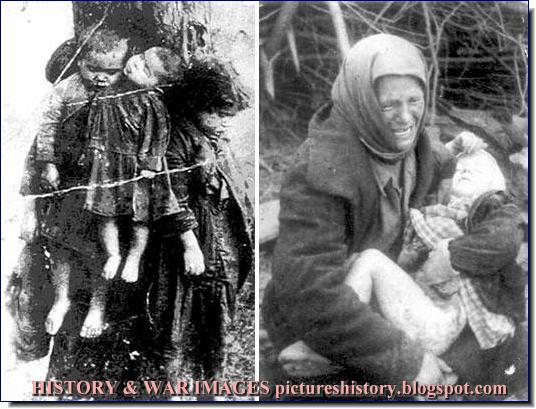 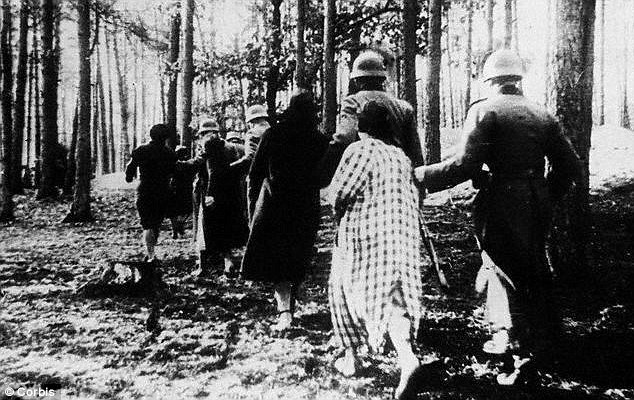 The Holocaust is the name given to the murder of millions of Jews, Russians,Poles,Serbs, Gypsies etc. 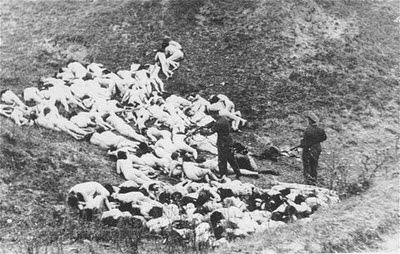 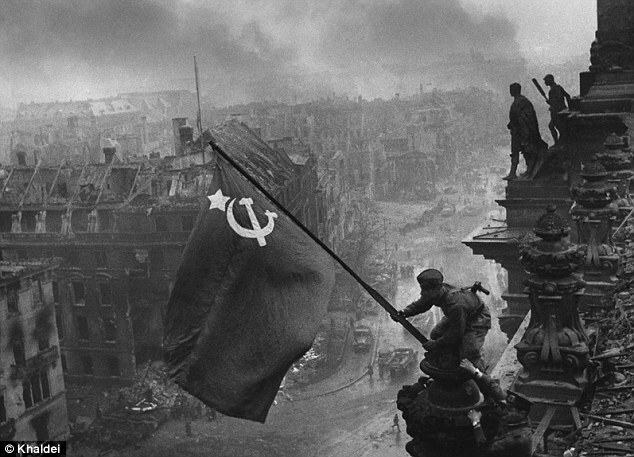 by the Nazis during World War Two. 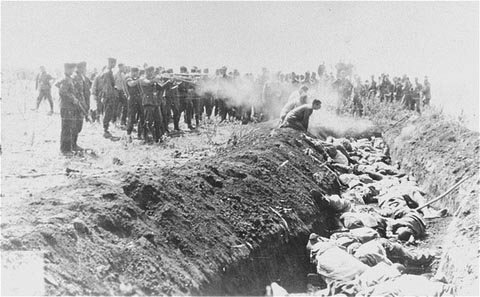 During the Holocaust, factories of death, such as at Auschwitz-Birkenau, Sobibor, Chelmno and Treblinka, were built to ensure that the mass murders were carried out. 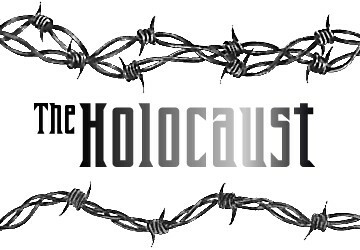 NOVA: Holocaust on Trial (2000). 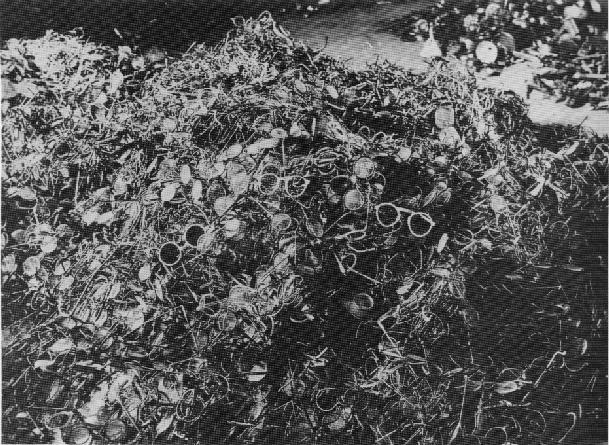 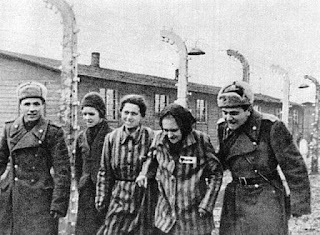 ...The Auschwitz concentration camp was formally liberated by Soviet forces on January 27, 1945 -Historical Film Footage »........(video) http://www.ushmm.org/wlc/en/media_fi.php?MediaId=174 1]http://www.youtube.com/watch?feature=player_embedded&v=HrombDUtOYY.......2]http://www.deathcamps.org/occupation/auschwitz.html.......3] http://yadvashem.org/ ......4] http://www.balkanpeace.org/index.php?index=article&articleid=13742 .................5]http://www.xoxol.org/dem/declaration.html ...http://www.theatlantic.com/infocus/2011/10/world-war-ii-the-holocaust/100170/.
. UKRAINE:A German policeman shoots individual Jewish women who remain alive in the ravine after the mass execution. 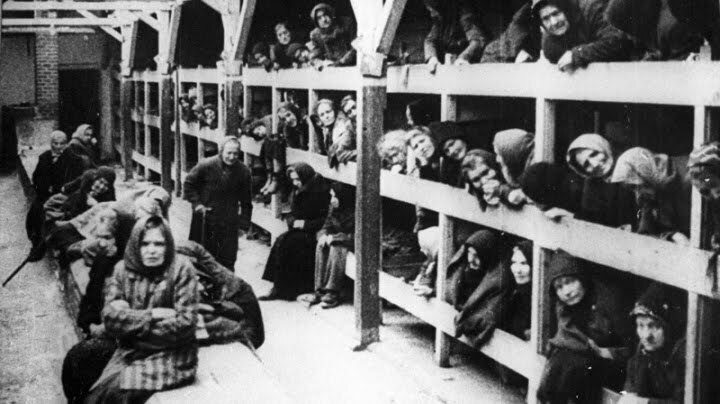 http://historiek.net/woii/aantal-slachtoffers-holocaust-hoger-dan-gedacht-1900 .... Oekraïne ....This famous picture, inscribed on the back of the photo as of the Last Jew in Vinnitsa, was taken by German Einsatzgruppen solider before he was shot by another Einsatzgruppe Dofficer. 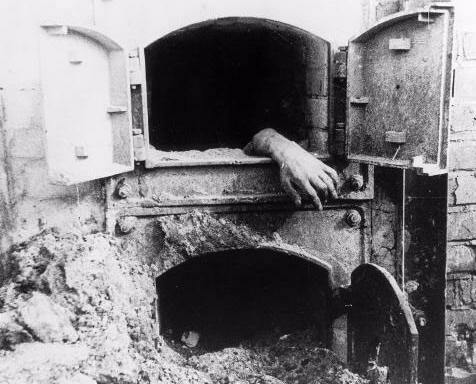 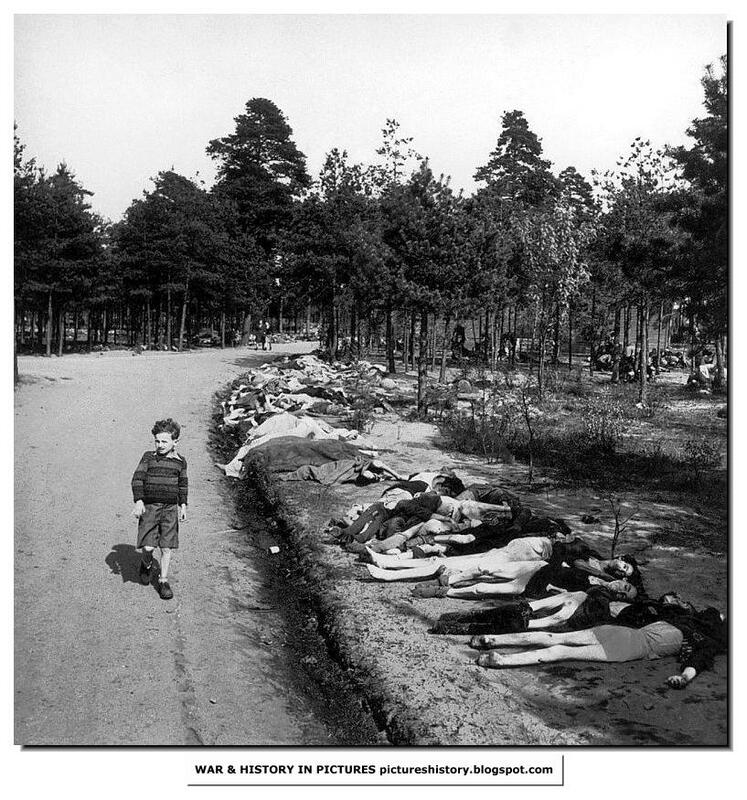 His haunting face and hollow, distracted eyes were as symbolic of the Holocaust as later Margaret Bourke-White images.